Your cat will love you even more if this personalized 22 oz. treat jar is kept full of tasty treats! 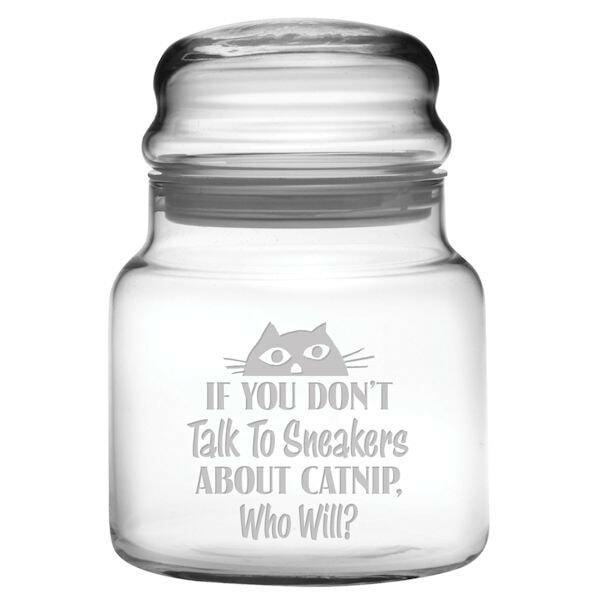 Each jar is individually sand-etched with an amusing "Talk to your Cat" design. 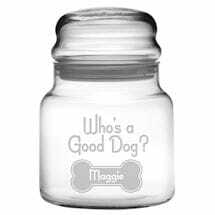 Stands over 5 ½" tall and features an airtight seal to keep treats fresh. Personalize with your cat's name up to 10 characters. Allow 3 weeks. No rush delivery or gift box. Made in the USA. Item can only be shipped within the Continental US.